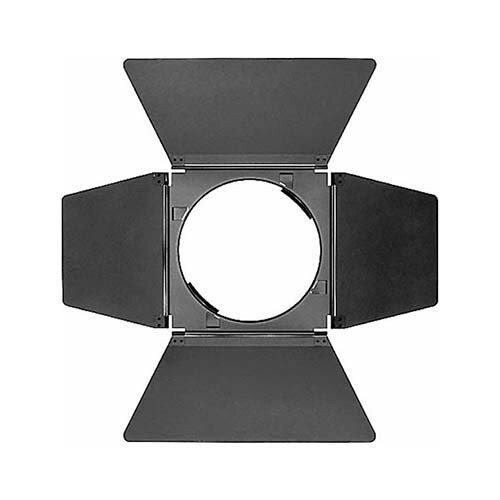 Designed specifically for use on the Broncolor P70 Reflector, these Barndoors feature trapezoidal leaves mounted on a rotating fram for maximum light control. Any lighting systems requires the essentials: Barndoors, Snoots, Grids, and Filter. These devices alter the shape, color, and intensity of light output from you flash heads. These are as pertinent to a photographer as a brush is to a painter. When using a barndoor attached to the front of the light source reflector, the result will be a shaft of light with size dependent on the distance of the light from the subject and the opening of the leaves. 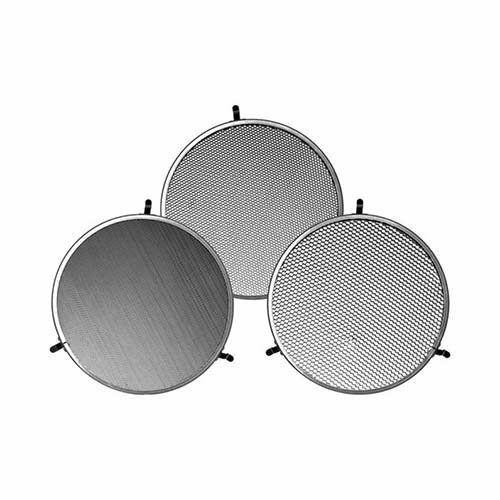 Rotation of the Broncolor P70 Barndoors will determine the angle of the shaft of light. Four-leaf barndoors such as the Broncolor P70 provide more light control than those of two leaf sets.